Everyone who met me before or know me for years must know that I love milk so much. Well, thanks to my love for milk, now I have this healthy body. I rarely get sick and just like any other promotion for milk; I have relatively taller body compared to my peers. Back to my love for milk, whether it’s pure milk, yogurt, or even ice cream. I love milk so much since I was a kid. I was also taught that drinking milk is good for health since it is filled with a lot of nutrition. Our body needs certain essential substances like carbs, protein, fat, vitamin, mineral, and water. All of those substances are all contained in milk. In order to understand better, you can read the essential substances contained in milk below. Maintain immunity and replace cells that are worn out a.k.a. providing maintenance functions. 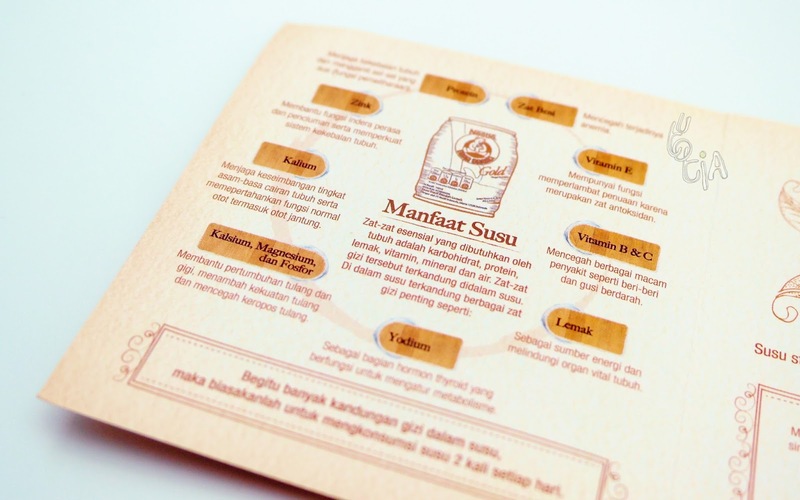 Improve sense of taste and smell function, as well as strengthening the immune system. Keeping the level of acid-base balance of body fluids and maintain the normal function of muscles, including the heart muscle. Helps build bones and teeth, increase bone strength and prevent bone loss. Serve as antioxidants to slow aging process. Prevent various diseases such as beriberi and bleeding gums. As a source of energy and protect the organs. This acts as part of the thyroid hormone that function to regulate metabolism. 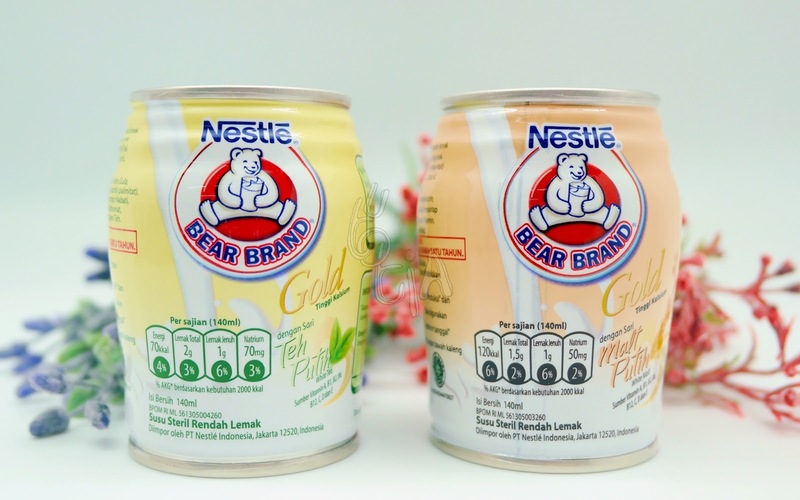 One of the most famous milk is Nestle BEAR BRAND. This milk is legendary and I bet that everyone from small kid to grandparents knows it. BEAR BRAND is made of 100% additive-free, high-quality fresh milk. But no need to be worried because each of BEAR BRAND milk is sterilized so it can be consumed directly. The nutrition abundance in BEAR BRAND can improve our overall health and recovery after certain medical condition. Even better for those of you who’s on diet, BEAR BRAND is sugar-free! 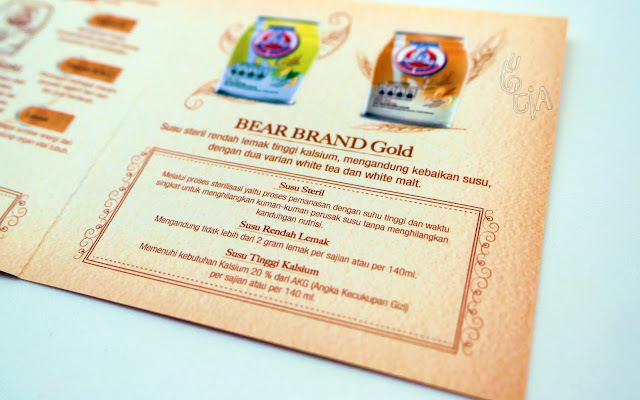 With the abundance of benefits inside, of course BEAR BRAND is our first choice for our health. But I often wondered why there’s only one variant of it. I thought that it would be great to have BEAR BRAND in other flavor. And that question is finally answered with BEAR BRAND GOLD! 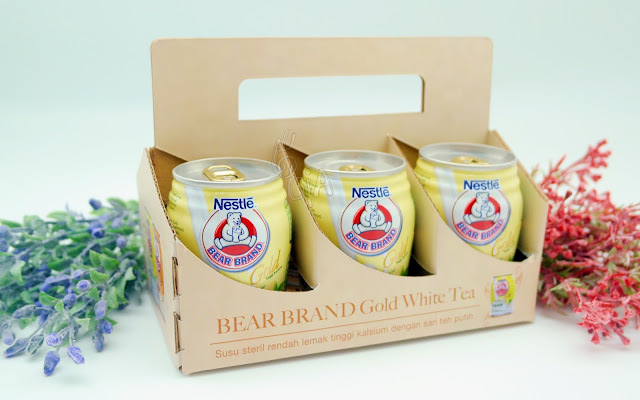 BEAR BRAND GOLD is low fat and high calcium sterilized milk with two variants; White Tea and White Malt. This variant contains white tea extract compounds derived from selected tea leaves. This variant for sure contains malt extract as the source of energy. I am now consuming BEAR BRAND GOLD White Tea and White Malt daily. Here are few changes that I am feeling after consuming it regularly. 1. As a workingwoman, I rarely move my body. Stuck in the desk doing the job in front of the laptop is making me the best candidate for couch potato. I was easily tired even though I wasn’t doing any workout. Not to mention that I often feel dizzy or have migraine. After consuming it regularly, 1-2 per day for a whole month, I can feel that my body is getting better. I don’t easily get tired now. My body is also fresher; waking up in the morning is even easier now. 2. My digestion is improved. Which of course leads to healthier body! 3. As BEAR BRAND Gold improve my digestion, of course my skin is positively affected as well. My skin is smoother, brighter, and I have fewer breakouts every month. 4. The ready-to-drink packaging is also such a helper! Unlike any other milk, which comes in carton packaging, can packaging is more practical. I can drink BEAR BRAND GOLD anytime, anywhere! It lasts longer and I don’t have to be afraid that the milk goes stale. In conclusion, I really love BEAR BRAND Gold as it supports and improves my lifestyle. Being healthy is never this easy! iya gurih bangettt... kalo laper minum itu berasa kenyang! 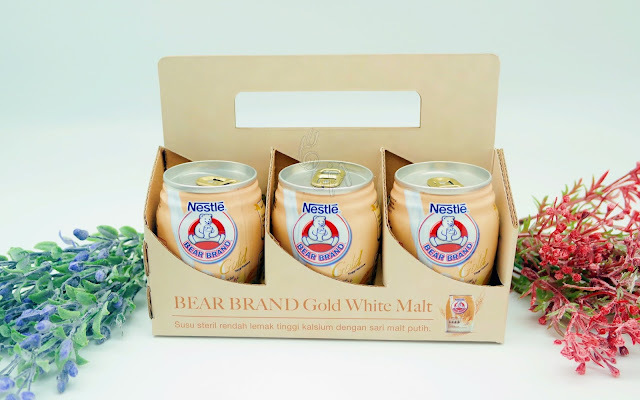 Hahaha, waaah serumah suka BEAR BRAND Gold jugaaa?